The RM 120GO! is ideal for custom crushing contractors, large asphalt paving contractors, road builders, demolition contractors and material producers, offering them production capacity of up to 385 tph (349 t). For many years, Rubble Master customers demanded a bigger crusher. The wait is over. The RM 120GO! is Rubble Master's latest addition, biggest crusher and newest flagship impactor. The RM 120GO! is ideal for custom crushing contractors, large asphalt paving contractors, road builders, demolition contractors and material producers, offering them production capacity of up to 385 tph (349 t) without sacrificing mobility. 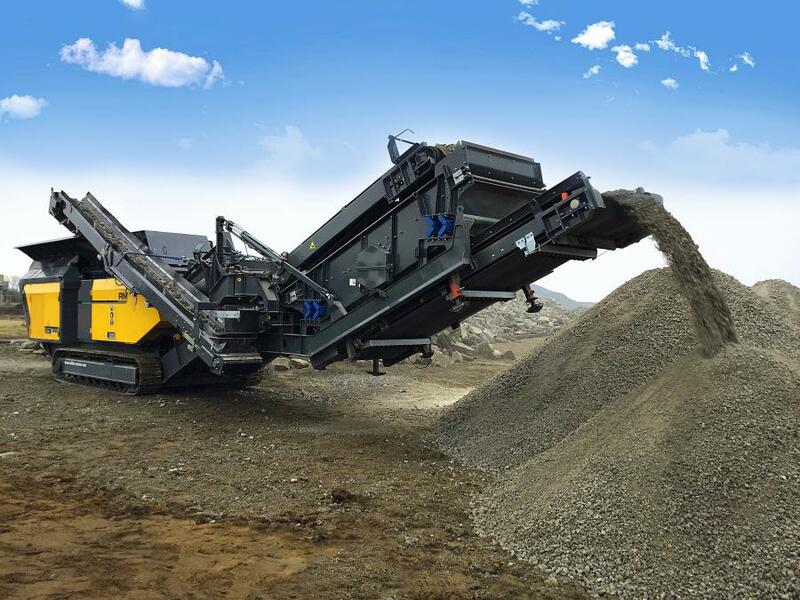 Rubble Master designed a full-size, high-performance crusher tailored for the aggregate production market while keeping true to principles of common sense solutions, safety and ease of operation, according to the manufacturer. Weighing just 90,000 lbs. (40,823 kg) in a closed-circuit configuration, the RM 120GO! features the options and tonnage requirements of today's most high performance production demands without the weight and hassle of other machines on the market. Before the RM 120GO! a same sized impactor could easily weigh upwards of 120,000 lbs. (54,431 kg) and require multiple trucks for mobilization. Rubble Master's RM 120GO! can be unloaded and set up for crushing in a closed-circuit configuration in less than 20 minutes without the need of any special hand-tools. Like all Rubble Master impact crushers, the RM 120GO! features Rubble Master's fuel efficient diesel-over-electric drive system that burns up to 1/3 less fuel than same size diesel-hydraulic crushers, leading to a more profitable cost per ton. Used for more than 25 years in all Rubble Master crushers, this system is a proven workhorse for even the most demanding of applications including asphalt, according to the manufacturer. “Until the RM 120GO! there has never been a mobile crusher capable of working efficiently day in and day out in asphalt. Thanks to the diesel-electric drive and the wide core radiator, overheating problems that have plagued our competition for years are non-existent on the Rubble Master machines,” said Hanisch. For more information, visit www.rubblemaster.com.